Maybe most people get informations of Xinjiang from CNN News or BBC or any other News. Conflicts, territory, violence, terrorist attack, burqa bans... If I haven't been there before, I would think that Xinjiang is somewhere like Iraq. Hey, watch out, RPG! 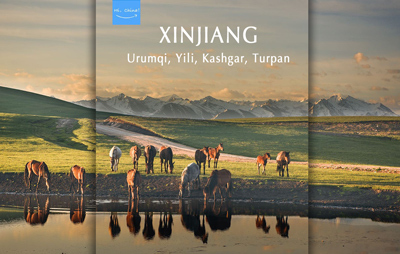 If you ask me "what do you think of Xinjiang? ", well, I would like to say, I have been to Xinjiang with my friends in May of 2012 and March of 2016. I tasted different great foods there. I met young Uyghur kids on the street. I talked with old Muslims in mosque. I took photos of women dressed in burqa friendly. And their husbands didn't rush out to kick me as the scripts said. Back to my travel in March 2016, my flight started at Hong Kong. Then I transferred at Shenzhen Bao'an International Airport. 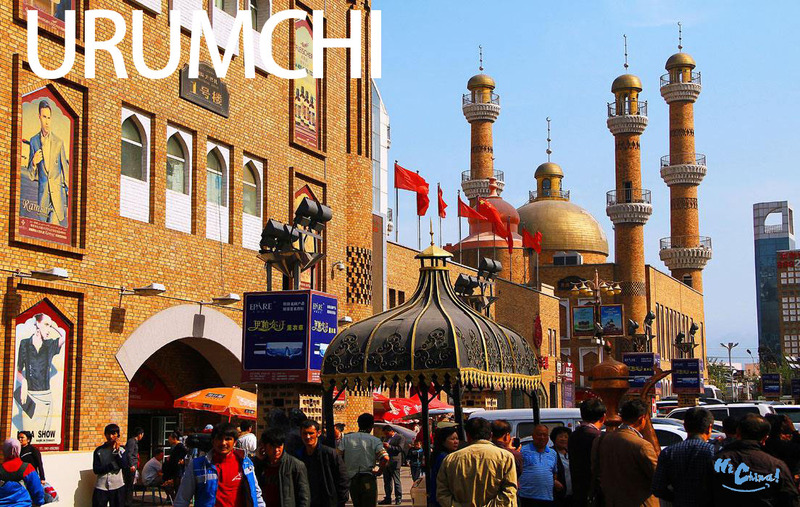 There was a non-stop flight to Kashgar, the largest oasis city in Xinjiang Province. The view on the plane. When I saw the giant mountains from the porthole, I realized that it was not far away from Xinjiang. It's Kunlun Mountains. We reached at night. I was a little excited and didn't sleep well. At dawn, I waked up, took two photos of the Kashgar through the hotel windows. Tricycle might be a popular vehicle in most undeveloped regions. When we were wandering around the mosque, a mom with her child walked to us. WOW, it's really heroic and cool for a mother carrying her child with shoulder like a strong man. I haven't seen that before. The old Wusitangboyi Rd is close to Idkah Mosque. There are many handicrafts. The famous Rewapu, is a kind of musical instrument. It's not easy to play for a newcomer. So the shopkeeper played few songs for us. He is really a master. I was a little scared to take close-up photos at first. You know what I mean. After watching so many reports and comments about Xinjiang, I have to be cautious enough. So I kept a distance away from the local people every time when I took photos. But maybe I was wrong. The three kids were playing in the Wusitangboyi Rd before they saw me. They jumped around me and posed in front of my camera. Yes, they were asking me to take photos on their own initiatives. I thought it's a good omen. The three kids made me feel easy. Our trip was more comfortable and restful. And I started to photograph every interesting things on my trip way. It's an another mosque close to Wusitangboyi Rd. This shop sells food steamers, mostly used to cook Xiaolongbao. A cute girl with her grandfather, the shop of whom sells wools. Mutton is the main food here. It's called samsa, roasted bun. A child with apple in hand. I was photographing the local house wall when a lady opened door and came out. I was very sorry for disturbing. I thought there might be nobody in. But she waved her left hand and turned back to let me take photos. Oh, she was thinking that she disturbed my shoot when I was thinking I disturbed her life. I finished my shoot soon, then she came out again and took a look at my photos with a big simile. OMG, I didn't know a single word of her language but only responded with smile. We were lucky enough to go inside and visited their home. Yes, it's a musical instrument shop. It's the street nearby, very west. An old man was walking through an alley. We returned to the main road to find some restaurants for lunch. A young man passed out of the restaurant. We wandered out of the downtown and found a flower field. The Hathpace Folk House, "Gao Tai Min Ju", is a recommended attraction by one of my Asian friends. There are no informations in Google map. We can't even search out any results in google. It's at the crossroad of Tuman Rd and Aizirete Rd in Google map, northeast of Kashgar. It's a famous place for pottery. The craftwork starts hundreds of years ago. There has been more than 600 master workers once a time. But there were only fifty left now. Maybe young natives would like to go outside and make more money. Pottery work is hard and difficult to earn profits. It needs patience. We came back to our hotel in downtown. Through it's a short trip, but I'm totally impressed by everything here, children, women, old men, beautiful instruments, different foods and culture. So, that's it. BTW, our next stop is Datong, a great ancient city.